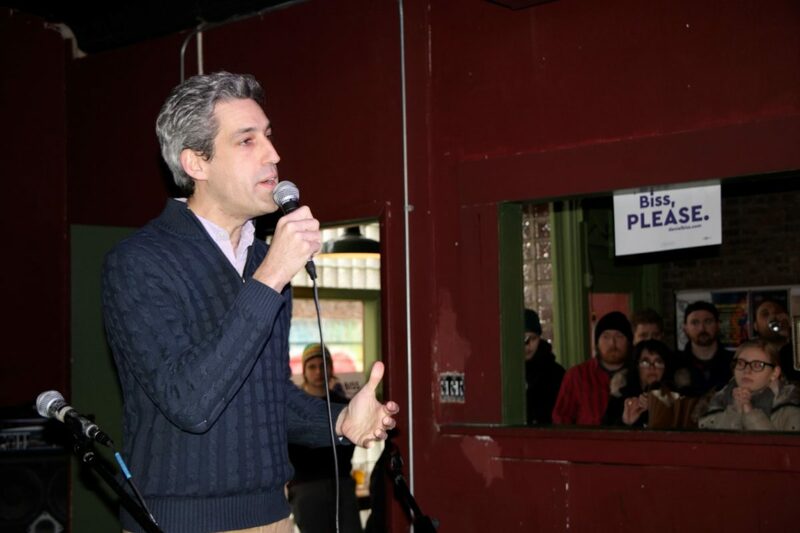 Illinois gubernatorial candidate Daniel Biss spoke just a few blocks north of campus at the Heartland Cafe (7000 N. Glenwood Ave.) Saturday afternoon in an attempt to gain support from the Rogers Park community, specifically Loyola students, for his run for governor. Biss aims to gain the Democratic nomination in the March 20 primary election. The other confirmed Democratic candidates are Bob Daiber, Tio Hardiman, Chris Kennedy, Robert Marshall and J.B. Pritzker. Republican candidates include current governor Bruce Rauner and Jeanne Ives. 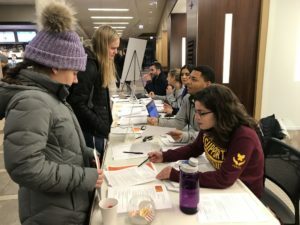 The event, which drew a crowd of approximately 250 people, according to campaign manager Nico Probst, was just one part of a larger campaign to encourage college students to vote for Biss in the primary election. Biss has been a vocal advocate of tuition-free public higher education and legalization of marijuana. During his speech, Biss emphasized his background as a middle class citizen and said Illinois doesn’t need another millionaire in office. 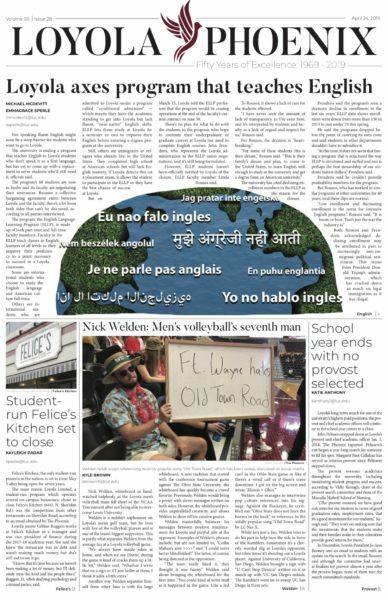 Biss said he campaigned on college campuses because the college-aged generation is most affected by the current political climate in the state. One of the most prominent components of Biss’ campaign is the notion of public higher education that is tuition-free. Preceding Biss’ speech, supporters took part in door knocking and called local voters to campaign in hopes of gaining votes for Biss. Before Biss addressed the crowd, speakers from MoveOn.org, Our Revolution Illinois and Reclaim Chicago took the stage endorsing Biss as a gubernatorial candidate. Probst said similar events were planned at DePaul University, University of Illinois at Chicago and University of Illinois at Urbana-Champaign. Biss attended Northwestern University earlier Saturday morning. Loyola student Mo Fowler, a senior English major who works on Biss’ campaign, said she agrees with Biss’ progressive views, especially for the school system. Ponder, who also works on the campaign, said Biss is willing to compromise more across the aisle than other candidates. “[Biss’] history of trying to work across the aisle with Republicans in order to negotiate and compromise is the only way we’re going to get out of the situation that we’re currently in,” Ponder said. Loyola senior Ugochukwu Okere, who’s running for alderman of the 40th Ward in 2019, attended the event in support of Biss.